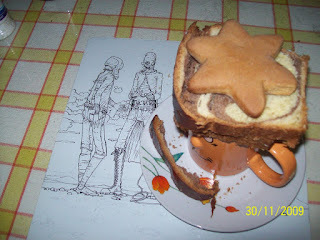 To remember the dear ones that have passed away, once a year my grandma would bake star-shaped gingerbread, spongecake(sic! ggl trl) and coliva, a sort of pounding made of peeled wheat and give away to neighbours. In answer, the neighbours would say bogdaproste!